I enjoy writing. Recently, I have become interested in writing for some monetary reward, based on my limited experiences as a freelance writer and working with iMedicalApps.com. Looking into it further, I can across several organizations dedicated towards this cause, including the Association for Health Care Journalist and the American Medical Writers Association. One book that I kept hearing about was "The Accidental Medical Writer." I bought it off EBay and have been reading it bit-by-bit. It's not a long book by any means, rather it's only about 120 pages in length with rather big font. 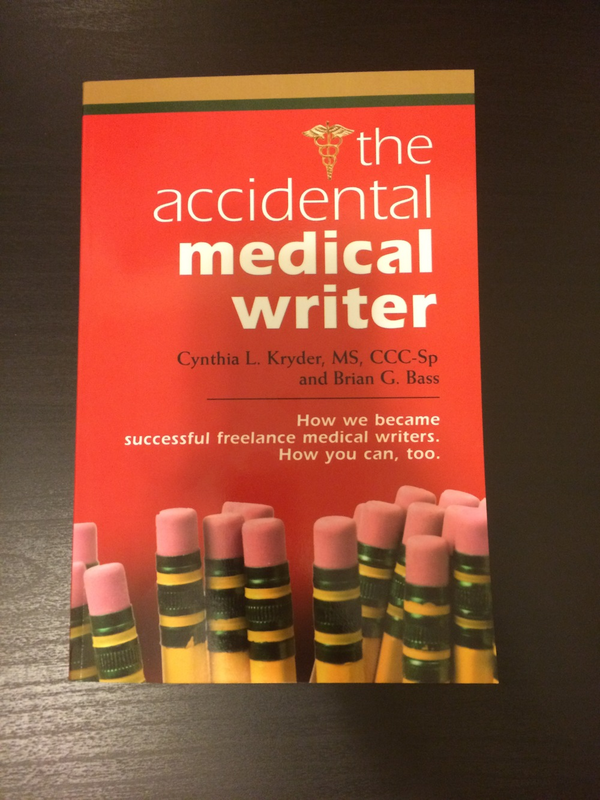 The book is written by two medical writers sharing how they got into the medical writing field. Based on their accounts and experiences, it truly was an accidental endeavor that they have stuck with. To be honest, it's unique to see people stumble into a job they knew little about, and thats the feeling I get from this book. Taking that into consideration, the authors give advice about how they have succeeded as medical writers, and where they have screwed up. Some of the information is quite useful. However, I would caution it's not a 'How-To' book, rather, it's a food-for-thought book before you consider getting into this field. Based on their experiences, I would say I want to pursue medical writing further, and will look into this topic further, starting with joining the AMWA. While wondering around Cambridge, MA, with my wife, we stopped in at MITs bookstore for a look around. I came across their design section, and purchased Ellen Lupton's books on graphic thinking and typography. I personally have found these books rather interesting. They are not necessarily a 'Reading' book, but feel to me like experience pieces put into print. There is alot of history and cases in these books, and I have learned new ideas from them that I feel I have been able to use in my writing, poster design, and visual presentations. I would recommend looking into them if you want to get a different side of things (especially outside of the medical sphere). What will Pharmacists be Called this Century?